All this and a burger too? Heck yes. Eyes on the prize, nobody ever accuses Russ Victor of lacking focus. These guys ride. These guys sign up online. They make me happy. Beyond; the impeccable view east, at the far edge of our rakish loop. Well, the boys and girls of San Diego have done it again! They’ve gone and committed to doing that most epic of things, the TWO DAY TRIAL. Yep, SDTR Presents The Twombstone Two day Trial at Motoventures! October 27th AND 28th. More info soon! Trials Season. It all starts here. In a few short weeks, the official start of the SoCal Trials season begins. 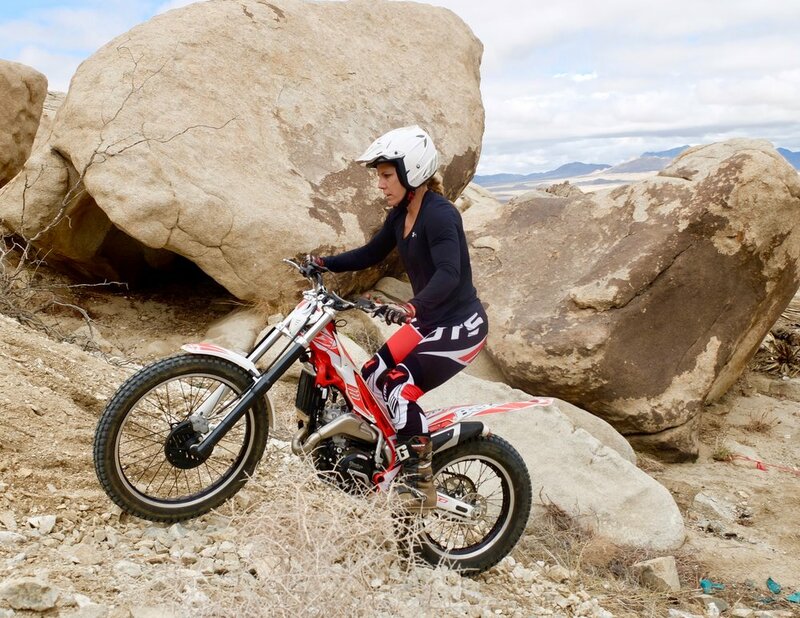 September 23, in the stunning Cougar Buttes area of the Mojave, the ever-dependable Plonkers Trials club have once again selected the finest sections from the unlimited trials wonder-world that is Cougar Buttes. If you’ve ever ridden this area, you know what I mean- sections are literally everywhere. The desert awaits. Make it happen. Sunday September 23: The Southern California Trials Association season opener, Plonkers bring you Slabtemberfest. Sign up online ONLY. Maps and additional info can be found on the Event Details page, under the Competition pull-down. Why yes I will have a cookie. Fresh delivery to thebardahut, from the Carrillos. And don’t forget, there will be adventure, frolicking, and perhaps a smallish campfire on Saturday night. Maybe even cookies will be delivered to your camp, who knows? So come on out Saturday the 22nd and make a Plonkeriffic weekend of it! And I seriously lied: the campfire will be freaking huge. I know it.